Welcome back to the podcast – I’ve been “down North” to Leeds and had such a fun time at Leed Wool Festival. We also meet our Woolly Mucker, Maylin Scott and I’ve some lovely yarn to review for you too! This month’s woolly mucker is Maylin Scott, aka blithespirit, on Ravelry. Maylin is a long time listener and supporter of all things KnitBritish. If you follow her there or Instagram you will see she is a prolific knitter and a real lover of colour and texture in her work. Currently she is knitting the Next Year In Lerwick sweater, for her upcoming trip to Shetland. Hear us talk about this and much more in today’s show. Thanks to Maylin for supporting the show. What a wonderful event Leeds Wool Festival was, last Saturday, and what a wonderful mill and museum. We were really blow away by the visitor experience, the cream teas and all the lovely wool vendors. We spent the morning browsing through stalls, enjoying the Morris Dancers out in the courtyard; we took entirely too much sun out in the picnic area and we lunched in the cottage garden with friends old and new and we really had a great time. I would need to go back now and just spend a bit more time dedicated to the museum (sans wool show, but maybe still cake!). I hoped there might be a tour to join and record for you, but there didn’t seem to be. So instead I talk a little of the mill’s history in the show. You can find out lots of info here too. I did not purchase oodles (As I had planned!) but I did get to buy some gorgeous bfl and silk fibre from Freyalyn Fibres and I bounded over to Sylvan Tiger for her School of Flock wool, which I’ve been very much anticipating! It was lovely to see so many vendors, including my chums Phileas Yarns and The Knitting Goddess. Thanks so much for your feedback on clearer labelling, last episode. There were some discussions on twitter about this too and I will definitely be revisiting this topic and the pros and cons soon – such as looking at questions as to whether it is dangerous or ethically or morally right to refuse to buy British wool, which has no info on provenance, when some wool manufacturers really don’t know what is going into there yarn. This is down to the fact that the BWMB don’t sort each and every fleece by breed much is categorised by handle or colour. Good conversations and questions being asked. 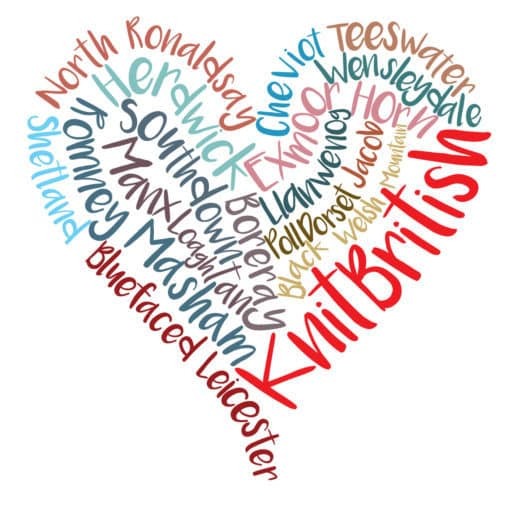 Suffice to say that KnitBritish has always been about championing small producers and small yarn businesses and if information cannot be clear at a grassroots level, such as this, then there is not much hope for the bigger picture. I still pledge to not review yarn that has no info anywhere about content, and/or which cannot answer questions that I feel are important to our yarn buying decisions. The lovely Maylin Scott is our Woolly Mucker this month and I know you will love hearing from her today. Maylin has been a big supporter of KB, pre-Podcast, and I know that lots of you know her as blithespirit on Ravelry (and blithespirit4 on IG). She is a keen hiker, a prolific knitter and she really loves her British and local yarns too. It was just lovely to chat with Maylin at Armley Mills. We talked about her upcoming trip to Shetland with a group of likeminded but total strangers and we talk about the power of a community like that. 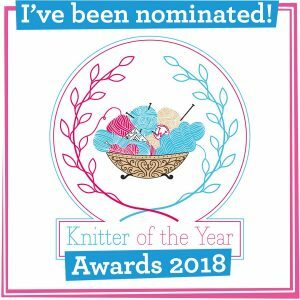 I also ask her our Woolly Mucker Quesrionnaire, listen in to her wonderful answers of the first knitting that really got her bitten by the bug and her own connections to place that make a particular wool blend her desert island yarn! Maylin, *mwah* thank you for supporting KB! 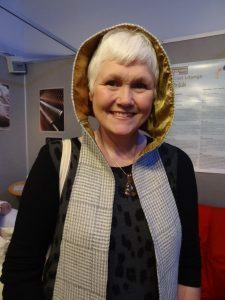 I met Sue Horn at the Scottish Smallholders Festival last September, and she told me that she had taken the decision to have her fleece from her own flocks spun into yarn. Of course, I was keen to hear when these went on sale and Sue has been keeping me informed along the way. Sue keeps Shetland, Hebridean, Wensleydale and some (she admitted to me) very grumpy alpaca and has had these spun at the Natural Fibre Co. 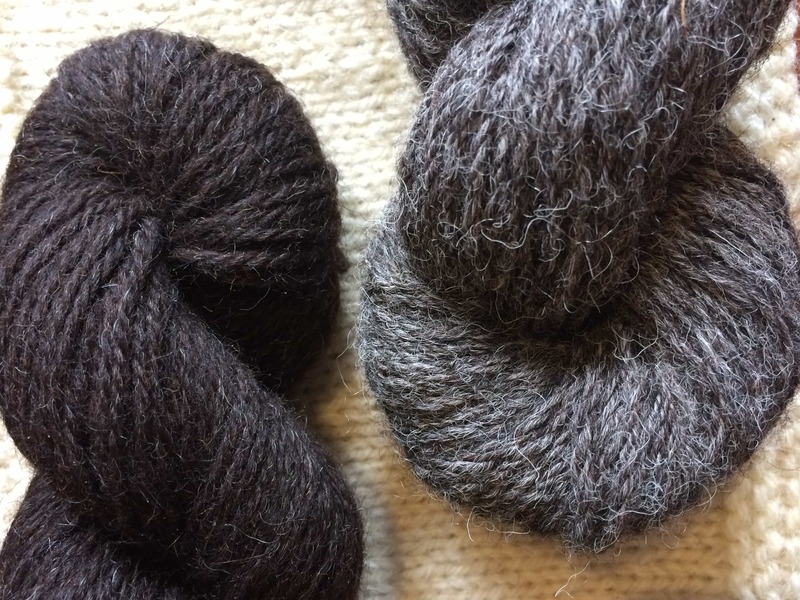 The resulting wool range from Hawkshaw Sheep Yarn will include a light grey Shetland worsted laceweight; Shetland DK and Aran weights; Hebridean and Shetland blends and a Shetland, Wensleydale and alpaca blend. These will be going up very soon on her new website, but she will be launching her yarns, and also her own tweed at Woolfest, at the end of the month. How it knit: smooth, very bouncy indeed. Knit really quickly too. Ideal for: clothing and accessories. Already a soft and squishy wool, this is the kind of yarn that will make items that will last and last. You can find Hawkshaw Sheep Yarn website here www.hawkshaw-sheep-yarn.co.uk. Sue is launching her full yarn range at Woolfest (23-24 June) and then shop will be updated after that. Do check her out at Woolfest, if you are going, and meet some of her sheep! She will be on stall H151 – 152. Thanks to Sue for giving me a skein to try out in exchange for an honest review. It is honestly lush! I will come back with a further review of this yarn when I’ve finished the slippers I’m working on and will give you the lowdown on how they wear. Adjust your sets because next episode is around Tuesday 21st. This is because I will be on Holiday later that week, when the show would normally go out. I will be talking with The Queen of Purls, Zoe Armstrong. It is a little over 3 years since she opened her Glasgow store and she’s going to give us a tour of her yarnie goodies! I also have a review for you from Northern Yarn – this was a fun one to do as some of our Woolly Muckers agreed to a blind swatch test. Come back then to hear how it tested. Music: Carefree by Kevin McLeod and Singin’ in The Rain (demo) by David Mumford – Both are on FreeMusicArchive and are both shared under Creative Commons Attribution license. 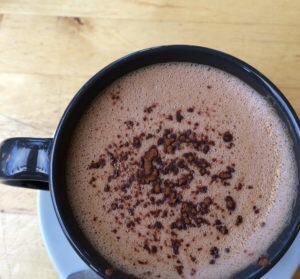 Images are copyright to those attributed in the caption or in the accompanying information, apart from the header image which is from LIM website . Other images are mine. Hawkshaw Shetland Wool was given to me for free in exchange for an honest review. All items reviewed on KnitBritish, whether donated or purchased, are treated in this manner.